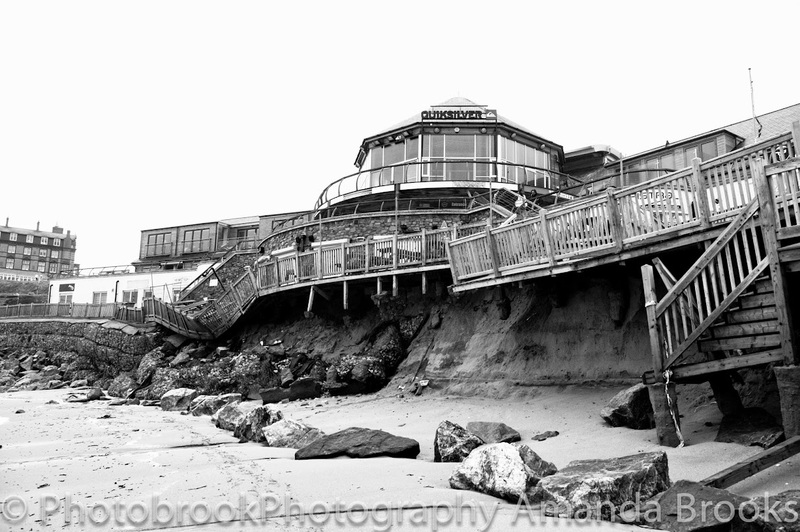 Photobrook Photography: Can I ever call myself a surfer? Here's my story of moving to Cornwall in a pursuit to learn to surf, the ups, the downs, the injuries and when will I ever be confident enough to say I am a surfer! Just over eight years ago I was a 21 year old living in Essex, I had grown up in Essex but always holidayed in North Devon and then eventually Holidayed in Cornwall too. I loved the beach and the lifestyle down here and with my braided hair, tattoo's and piercings I felt slightly more accepted in Cornwall then on the streets of Essex, where board shorts and flip flops were not the attire for the high street. 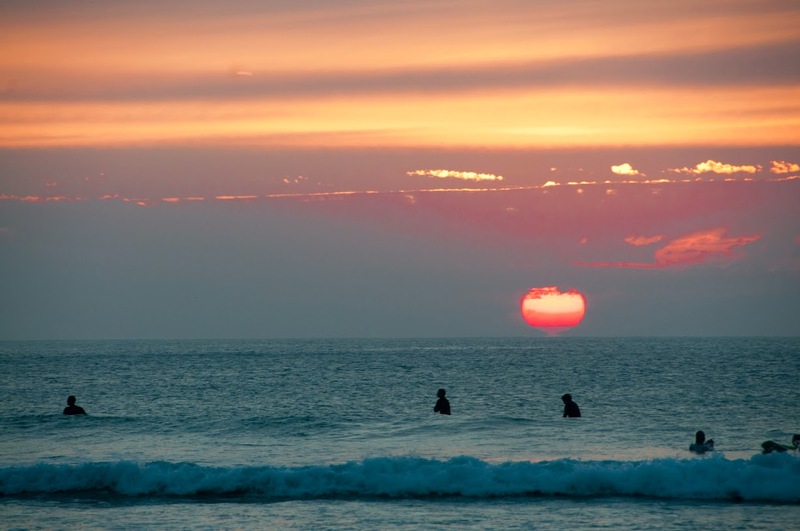 When I was just 18 I took my first ever surf lessons on a camping weekend with my boyfriend and some school friends from Essex in Croyde at the Surf South West school on Croyde beach. I loved it, I was terrible, I could barely stand up on the board but I was hooked, After this I bought myself an indestructible NSP surfboard and came to Cornwall whenever I could to get in the water. I then bought myself a classic Volkswagen Beetle and continued to live in Essex taking my board and my Beetle down to Cornwall to surf whenever I could afford to. After a weeks holiday near Perranporth with some friends from Essex I decided not to go back with my friends and spend the rest of my summer camping in a tent by myself on the North Cornish coast. I had to return to Essex as I was starting college to study photography in Southend but things were not what I wanted. All I could think about was Cornwall, the beaches, the lifestyle and of course the sea. As soon as college finished for the summer I was back in Cornwall for the summer. I managed to get a job in a holiday park working behind a bar with a flat on site and that was it. I was living in Cornwall, I would get in the water as much as possible and when the end of the summer came and it was time to go back to Southend College I just couldn't face going back to Essex. I was so happy in Cornwall but I didn't want to give up on my photography course either. Luckily things worked out and I was able to transfer my course and complete my HND in Digital photography at Truro college. Everything was now falling into place, I lived all over Cornwall from Falmouth, Penryn, Truro and then Newquay. My surfing was starting to frustrate me, If the waves were small and safe then it was the best thing in the world, I could stand on my board and ride the waves straight into the beach but I had the fear installed in me and paddling out back and taking bigger waves was something I never even wanted to achieve. I was happy with what level I was at and simply enjoyed the sunshine, the lifestyle and the water. But then riding white water was getting to easy and I was getting bored and wanting to push myself further. Then began the next step of learning to surf. I decided that if I wanted to get better at surfing then treating myself to my own 'real' surf board was the next step. I bought a custard point surfboard a 7ft 8 board and I've called him Lord. Lord of the Boards, he is beautiful and gave me a new wave of confidence. The board was lighter to paddle and instantly I was loving the board and riding waves but again I was only riding white water and needing to progress. In my quest to learn to surf I joined a local surf club at Watergate Bay run by Sophie Skinner. (Ben Skinners Sister.) It was great, it was for just for ladies and it was just what I needed. This wasn't surf lessons that are mostly offered in town where your taught simply to stand on your board this was a club for girls to progress. Getting tips on what I was doing right and wrong and giving me further confidence to believe I could do more was great. As the summer again came to an end so did the evening surf club. Next on my mission to learn to surf I was fortunate enough to visit friends in Fuerteventura. My friend just happened to be a surf instructor out their so managed to get some great tips and one on one tuition in warm water. This removed a lot of fear for me, falling off in warm water was fun compared to getting ice cream headaches in Cornwall and I felt full of confidence and really keen to progress. However during the winter of 2012 I had planned surgery to resolve temporomandibular pain disorder in my jaw. This involved having my jaw broken in three places, a series of metal plates and screws and a lot of months recovery and pain to follow. I did get back in the water during that summer but I was still wearing braces and elastics to hold my jaw back in place. Any pressure put on my face under water wasn't good and I lost all my confidence and fitness. I was careful and only went in the water on very small days just to feel the salt water in my hair and the sand between my toes. The following year I was keen to get back into my learning to surf adventure and joined another surf club. This was an offshoot of the original ladies club that I attended at Watergate Bay but this time was held at Fistral Beach in Newquay. The club had more instructors and split the girls into more groups aimed at their abilities. Joining this club was the best thing I have ever done, getting the tuition and guidance to steer my surfing was one thing but the encouragement and confidence that bounces off the other girls is amazing. If you want to join the women's surf club you can find all the details here. I've made loads of new friends to go surfing with and even been on end of season surf camps with the girls and not forgetting the end of summer fancy dress surf competition. Surfing was no longer getting frustrating I was slowly progressing, learning to trim waves in both directions, rather than straight into the beach and speeding up my pop up on those cleaner small waves, my confidence was growing and so I was ready to push myself further again. With my certificates for surfing and getting more and more confident I was joining the 'out back group' at surf club. I couldn't believe I was actually going to get out of my comfort zone that I have been in for so long. I was taught tips on paddling out, when to wait for the set to pass, how to use rips to our advantage and even how to turtle roll on my big board. I was doing it, I was getting out back! But then came the next challenge, actually taking those waves from out back. Taking larger green waves was completely different to riding flat white water that pushes you along and you barely need to paddle to catch the wave. But this is where it has all gone a bit sour, I have the fear! I would get out back and just sit there, paralysed with fear of the waves rolling in. With encouragement from the surf instructors to just go for it, enjoy the adrenaline rush, enjoy the fear I would at least start attempting to take the drops but every time I paddled for the wave I would see the height and look down the face and freak out. I would slack off my paddle and pull back off the wave every time, I thought my fear was getting out back but in fact that was the easier part, yes I would get caught in sets, and yes I would get pushed back to the beach but once out back a rest sitting on my board was all worth it but I can't get over the fear to concur those drops on waves. I won't give up, and I'll keep trying but I also know that my body isn't indestructible and getting hurt in a dangerous sport is all very real. I haven't had any serious injuries but I've had my fair share of bumps and bruises from surfing. If I could learn what I did wrong each time I wouldn't do it again but half the time I get back from a session bruised and beaten and I don't even know how they happened. An eye injury from an outback lesson, I was lucky that my eye wasn't damaged but I didn't even feel it, I got straight back on my board and started to paddle back out and it was only that another of the girls on the lesson told me I was bleeding that I knew I was injured. The black eye and swelling that popped up later in the day told me otherwise that actually it did hurt, quite a lot! But my instructor on the lesson was great aiding me with ice held in a pair of sweaty board shorts! Lol thank you Rosa Thompson, your a legend. Another injury, or rather an inconvenience is weaver fish stings. These little guys sit just below the sand at low tide and if trodden on give you a nasty sting. Here you can see my right foot puffed right up after a weaver sting that stopped my session. Bruises are a regular occurrence, usually on my knees from my cack handed pop ups but this 2inch wide bruise on my leg was impressive especially as I have no idea how it happened! This was probably the most painful injury I have received whilst learning to surf and looks relatively minor. I stacked it off my board and my board somehow flipped sideways as I was falling, I landed with my shin hitting the rail of my board at full force. This was during the winter and in my thick 5.3 suit but the pain was intense, I hobbled up the beach and pulled off my suit, I couldn't believe that the impact of hitting my shin had split my leg. I still have a nice scar now from this one as a reminder! I know I've got a long way still to go to be able to call myself a surfer and a lot more injuries and fearful moments to come. But one day I'm hoping to concur that fear and take the drop and when I do will have reached the next stage of my surfing. I know other people progress quicker or slower even and although i've been trying for eight years I know the only thing stopping me is myself and that's the biggest challenge. But until then I will continue with the surf clubs, continue meeting new friends and continue little step by little step becoming a surfer and not just a learner! If your struggling with your surfing don't give up, keep going, it's all the in between times that make it worthwhile and one day I'm hoping I will confidently be able to say I'm a real surfer.